Ed is the first person Joel meets when he finally arrives in Cicely, Alaska, after a very long bus ride from Anchorage. Like Joel, we are surprised to meet him, driving up in an old truck, offering to pick up the new doctor. Yet the character of Ed also introduces us to the eccentricities of this new town, as Ed suddenly leaves the truck with the motor running to go home, leaving Joel in it (probably having to drive a vehicle with a stick shift for the first time). We learn that Ed is half Native, and later learn that he is obsessed with movies. Tall and lanky, Ed is clearly very handsome, but doesn’t seem to be aware of it. As we get to know him, we learn that he is earnest, sincere, and has affection for everybody (even for Maurice). There is also a quiet mystery about him, with his strange and humourous way of looking at the world. 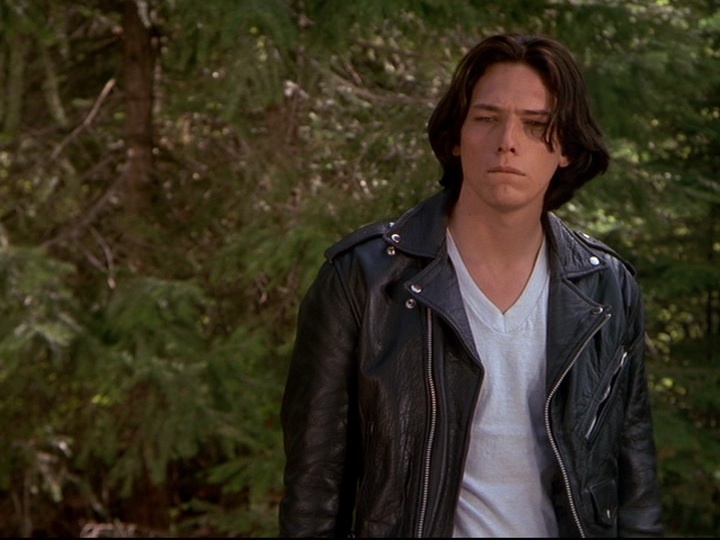 Ed’s look can be summed up with the following: leather jacket, jeans, t-shirt, and black hair. 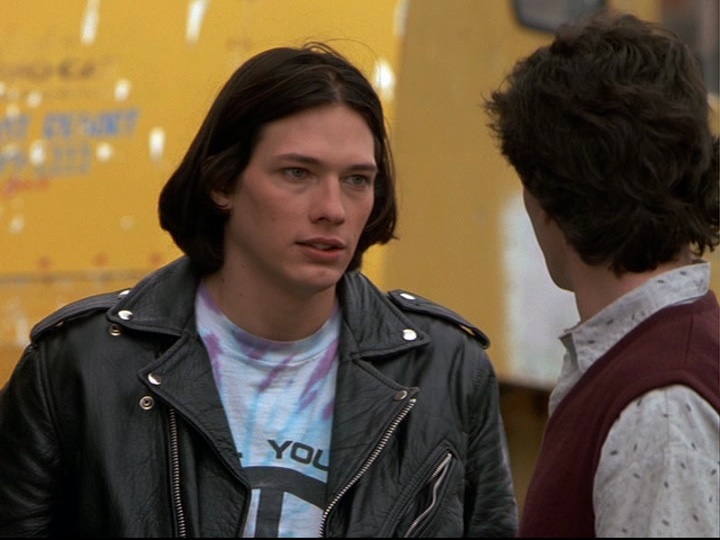 Like many of the other characters on Northern Exposure, we see him wearing the same thing over and over. For Ed, this is particularly true, with his t-shirt often being the only change in costume. Sometimes his jeans are ripped, sometimes not. At Holling and Shelly’s almost wedding in “1.4 Dreams, Schemes and Putting Greens,” we see Ed’s formal look, consisting of the same wardrobe basics of jeans and leather jacket, but with the new addition of a crisp white dress shirt. He does look pretty fancy in it. 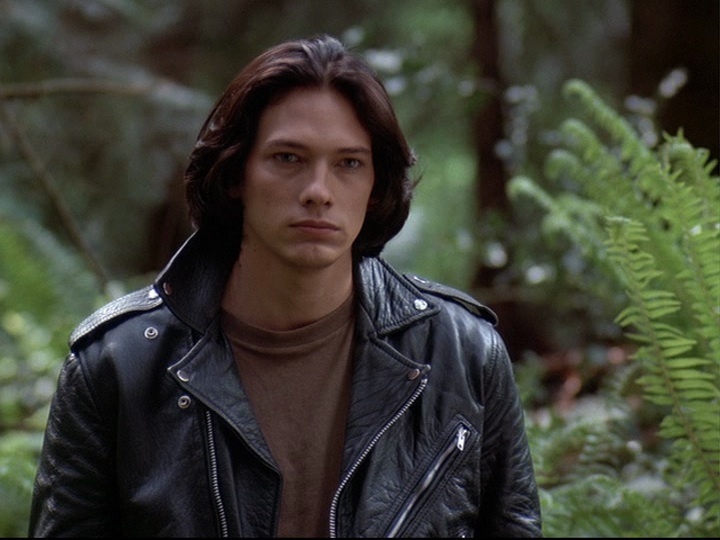 We cannot talk about Ed without talking about his iconic black leather motorcycle jacket, which he wears even in the middle of an Alaskan winter (as we will see in Season 2). 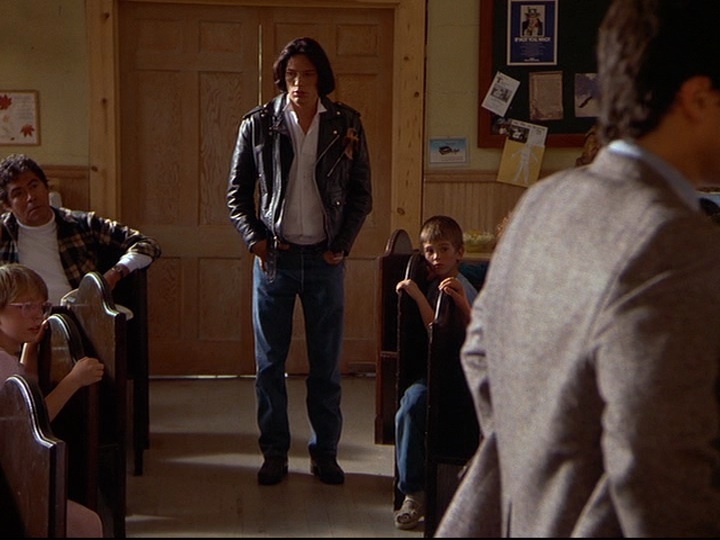 The black leather jacket represents rebellion and youth, which is a little bit of an odd choice considering Ed’s sweet character. However, the jacket is also associated with actors like Marlon Brando (from The Wild One) and James Dean, and movies which broke the mold of the typical musical/melodrama Hollywood fare of the 1950’s. 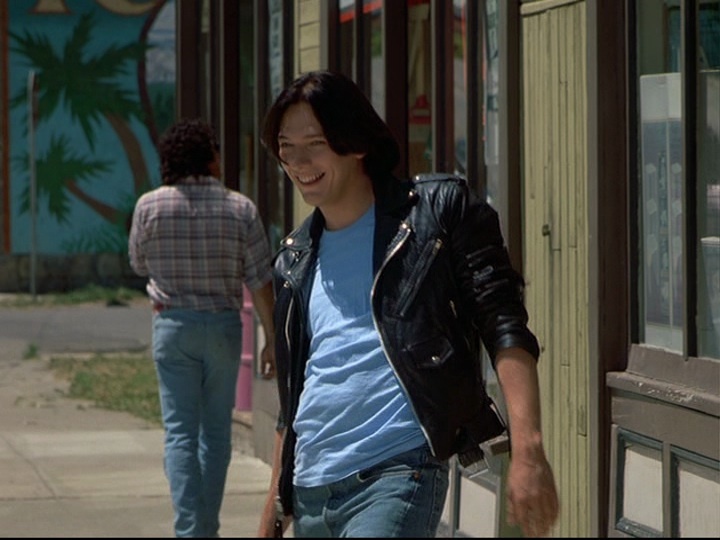 The jacket is also associated with the punk movement, with the Ramones being a near mirror of Ed’s look (black hair, jacket, jeans, t-shirt). It’s possible that with Ed being half-Native and an orphan and his interest in film, he might be a little out of place in even this little world of Cicely. So the jacket might just symbolize his own oddness. We love Ed. 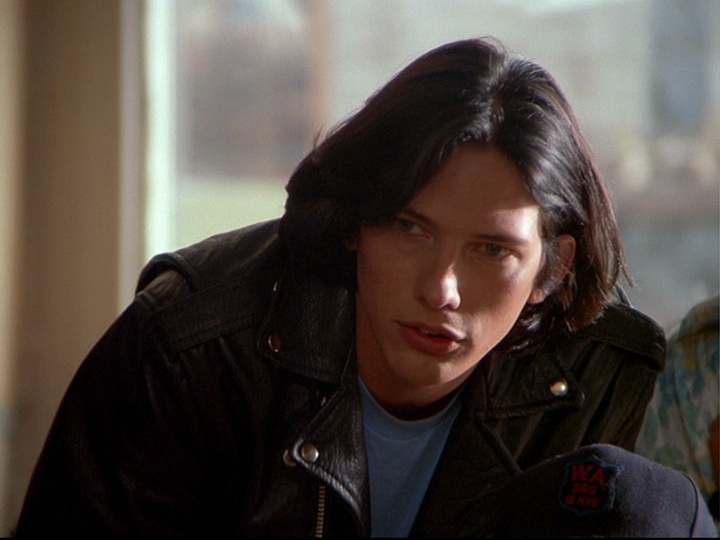 Out of all the characters in Northern Exposure, he has the most distinctive look. Plus, he is sweet as all heck.